Tutin, a plant toxin found in tutu plants, is a very real issue for New Zealand’s honey industry. Everyone needs to know about the risks from tutin and their legal obligations. This paper includes information on what tutin is, how it can get into your honey, and how to reduce the risk of this happening. It is part of an education campaign undertaken by MPI and Apiculture New Zealand to raise awareness of the issue. We encourage you to check the resources available and to pass this information on to anyone who may find it useful. 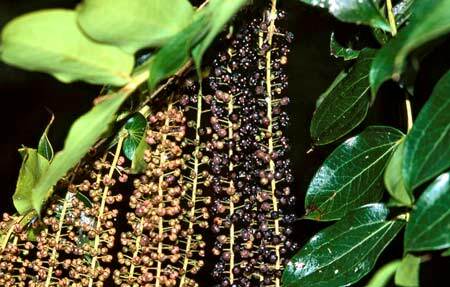 Tutin is a neurotoxin present in tutu bushes that can get into honey when bees collect honeydew from the tutu plant. It is neurotoxic to mammals, including humans, but not to bees. In certain circumstances it can make its way into honey. Human ingestion of contaminated honey can cause giddiness, exhaustion, vomiting, stupor and coma. In severe cases death is possible. In 2008, Tutin was responsible for poisoning 22 people, who purchased comb honey from a Whangamata hobbyist beekeeper. Other cases of poisoning have also been reported. Is my honey at risk? If you have hives in areas close to tutu bushes where passion vine hoppers are prevalent, your honey may be at risk. Risk areas include all of the North Island and the top of the South Island. High risk areas include Coromandel, Eastern Bay of Plenty and Marlborough. 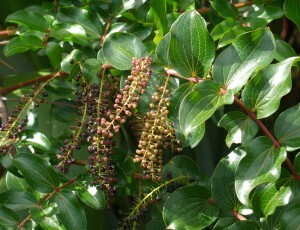 Significant concentration of tutu bushes, a shrub that can grow up to 20 feet. Mostly found along roadsides, on stream banks and in regenerative native bush. High number of passion vine hoppers that feed on tutu sap and secrete honeydew which bees may collect. Adults lay eggs until Autumn, so population is higher in summer. Presence of honey bees that feed on this particular honeydew, especially in hot, dry weather in the absence of more attractive food sources. All honey for sale or export must comply with the limits set out in the Code. Beekeepers and packers of honey must ensure that they take appropriate measures to not exceed the limit set out in the Code. MPI recommends that hobbyist beekeepers who only produce honey for their own use follow the standard as well. Donating and bartering are forms of trade that must also comply with the standard. Beekeepers, packers, and exporters are all liable for prosecution if someone is poisoned by honey. The Food Standard: Tutin in Honey gives beekeepers five options for demonstrating compliance. Beekeepers can select the option most appropriate for them. Send samples of all honey produced to a certified laboratory for testing before selling or distributing. Harvest honey early. Honey from Supers put into hives on or after 1 July does not need testing if harvested no later than 31 December, which is before the main risk period. Run your hives in a low risk geographical zone i.e. 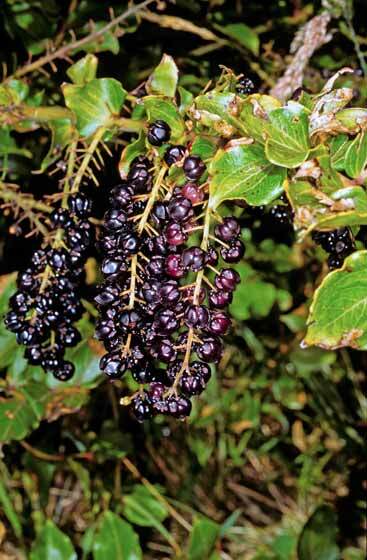 below 42 degrees South, a line south of Westport on the West Coast and south of Cape Campbell on the East Coast of the South Island where there are no passion vine hoppers. Demonstrate that tutu is not significantly present within the predictable range of bee foraging. Given bees can forage up to 3km this is a significant undertaking requiring drone or satellite mapping. Demonstrate you operate in a low risk area with a targeted testing regime. If over three consecutive years your honey has tutin levels below 0.035 mg/kg (and levels in comb below 0.01 mg/kg) you are only required to test one in every ten years thereafter. Alyssum, Asters, Calliopsis, Clover, Corn Flowers, Cosmos, Marigolds, Pansies, Poppies, Sunflowers, Sweet Violets, Zinnias. Apples, Apricots, Avocados, Beans, Blackberries, Cantaloupe, Cranberries, Cucumbers, Fruit Trees, Gourds, Melons, Nectarines, Nut Trees, Peaches, Pears, Peas, Peppers, Plums, Pumpkins, Raspberries, Squash, Strawberries, Tomatoes, Watermelons, Wild Garlic, Zucchini. Basil, Bee Balm, Borage, Catnip, Chives, Coriander, Lavender, Mints, Rosemary, Sage, Thyme. Banksia, Barberry, Blueberr,y Buddleia, Bottlebrush, Butterfly Bush, Button Bush, Clematis, Citrus, Daisy Bushes, Forsythia, Fuchias, Hawthorns, Hebe’s, Honeysuckle, Mexican Orange Blossom, Viburnum, Wisteria, NZ Flax Harakeke, NZ Jasmine, NZ Cabbage Tree, NZ Kowhai, NZ Hinau. Acacia, Alder, Basswood, Black Gum, Black Locust, Buckeye Conker, Catalpa, Chestnuts, Crabapple, Eucalyptus Gums, NZ Five-finger, Grevillea, Golden Rain, Kamahi, Hazels, Koromiko, Lacebark, Lemonwood, Linden Lime, Magnolia, Manuka / Kanuka, Maples, Mountain Ash, Pohutukawa, Poplar, Rata & Rewarewa, Robinia, Snowdrop Tree, Strawberry Tree, Sycamore, Tawari, Tree Lucerne, Tulip Tree, Willows. In order to diagnose AFB, it is important to understand the procefss of normal worker bee development. Identifying brood symptoms involves comparing the appearance of brood that looks abnormal with the appearance of healthy brood. The developmental stages of healthy worker brood are outlined in Fig. 6. Three days after the queen lays an egg it hatches into a pearly white larva. At this stage, the larva appears as a small c-shape in the bottom of the cell. Over a 4 day period, the larva remains in this c-shape, greatly increasing in size until it appears to completely fill up the cell. On the 8th day (after the egg was laid), the larva stretches out along the lower wall of the cell in preparation for changing into the adult form (called the “prepupal stage”). On the 9th day, the cell is capped over with wax by house bees.On the 12th day, the larva pupates and the form of the adult bee takes shape. The pupa is initially white in appearance, but gradually changes into its adult colouration. On the 21st day, the new adult worker bee chews a hole in the capping and emerges. The developmental stages of worker brood infected with AFB are outlined (see below). Larvae are most susceptible to AFB infection when they are less than 24 hours old. Millions of spores are required to infect a larva more than 2 days old, but larvae up to 24 hours old can become infected with ten spores or fewer. Although the AFB vegetative rods multiply in the gut of the larva, they do not penetrate the gut wall and multiply in its tissues until it stretches out before pupation (prepupal stage). Visual disease symptoms do not become apparent until death occurs, either just before or just after the larva pupates. Infected larvae do not usually exhibit disease symptoms until after the cells have been capped. Where uncapped diseased larvae and pupae are found it is usually because the cappings have been removed by house bees. The first observable symptom of AFB is usually a change in the appearance of cell cappings. Healthy cappings are raised in shape, and range in colour from light to dark brown. Cappings covering infected cells will initially be the same colour as the uninfected cells surrounding them. However, infected cells will eventually become darker in colour until they appear black. Infected cells also develop a moist, almost greasy appearance and become sunken. Even though initially there may be no visible change in the colour of the capping of an infected cell, worker bees can still identify a problem within, and will chew holes in the capping before removing the contents of the cell. The holes can usually be distinguished from holes in the unfinished capping of healthy cells. The holes in infected cell cappings have a more irregular appearance. Holes will also be created in healthy cells when the young adult worker bees chew apart the cappings to release themselves from cells. These holes will also appear irregular in appearance, but can be easily distinguished from infected cells since a live adult bee will be found underneath the capping. Symptoms of AFB are normally only found in worker larvae and pupae. However, on rare occasions symptoms will be found in drone brood (generally only in heavy infections). Symptoms of the disease are also occasionally found in queen cells. Because larvae infected with AFB fail to emerge, infected cells are often surrounded by empty cells or by younger, healthy larvae. As a result, the brood in a colony with a heavy AFB infection often takes on a spotty pattern. Worker brood in a healthy hive generally has a more solid pattern, caused by the queen laying eggs of similar age in a number of adjacent cells. The eggs develop into larvae and are capped by the house bees at approximately the same time. “Spotty” brood patterns can also be caused by other factors in the colony not related to AFB however, such as laying workers, a failing or inbred queen, or a range of other honey bee diseases. Healthy larvae and freshly capped pupae are pearly white in colour. Infected larvae and pupae change from pearly white to a brown colour resembling coffee with milk. The distinctive coffee-brown colour is often considered a definitive symptom of AFB, although brownish-coloured larvae can sometimes be found that have died from causes other than AFB. There is also a significant variation in the colour of AFB infected larvae and pupae, ranging from very pale brown to almost black. The variation depends on the progression of the disease and the degree of drying of the diseased material. After about a month, the infected larvae or pupae will dry out completely and turn totally black. Dried out, infected larvae and pupae are commonly referred to as “scale”. Healthy larvae and pupae are characteristically plump in shape. In healthy larvae at the prepupal stage, the circular lines of segmentation are clearly visible. In healthy pupae, the shape of all of the external body parts can be seen. When an AFB infection occurs, the first symptom is often a slight change in the colour of the prepupae or pupae. As the infection develops and the brood tissues are consumed, the remains slump down onto the lower wall of the cell. In diseased larvae in the prepupal stage, the lines of segmentation can no longer be determined easily. In diseased pupae, the body parts lose most of their characteristic shape, although the tongue remains upright and prominent. Larvae infected with AFB are only ever found stretched out along the lower wall of the cell (prepupal stage). Infected larvae are never found in the c-shape of younger larvae, since the disease-causing bacteria do not penetrate the gut wall until just before the larvae pupate. Prepupae infected with AFB are always found in the characteristic prepupal position, stretched out along the lower wall of the cell, with the head closest to the cell entrance. When larvae and pupae killed by AFB dry out and turn to scale, their flat shape can make them difficult to identify. Remains of larvae can be especially hard to see, since the scale lies completely flat along the lower wall of the cell. Remains of pupae are generally easier to identify, since a thin thread (which is the dried remains of the pupal tongue) can sometimes be seen pointing directly across the face of the cell, from the bottom angle to the top angle of the hexagon. Seeing a tongue, either in a moist, coffee-brown coloured sunken pupae, or in pupal scale, is a definitive diagnosis of AFB, since no other disease is likely to produce such a symptom. Larvae and pupae infected with AFB can exhibit a characteristic foul smell similar to dead fish (hence the name “foulbrood”). The intensity of the smell varies considerably, depending on the number of infected larvae and pupae present and factors such as temperature. Smell should therefore not be relied upon to determine the presence or absence of AFB, no matter whether the disease is in live colonies, dead colonies or stored combs. Larvae and pupae infected with AFB display a characteristic “ropiness” when a small stick is used to slightly stir the diseased tissue in the cell and then the stick is slowly removed The ropiness is thought to be caused by the presence of long chains of the vegetative stage of AFB bacteria intertwining and producing an elastic, binding effect. The ropiness test is a common technique used to diagnose American foulbrood. AFB scales have been shown to fluoresce when examined under ultraviolet light with a wavelength of 360 nm. As pollen and some moulds also fluoresce, ultraviolet light should not be relied upon to positively identify AFB infections. The Varroa mite, (Varroa destructor – formerly Varroa jacobsoni) is an external parasite of honey bees that attacks adult bees and their developing larvae, or young.The whole bee population is at risk from the mite. Numbers of mites in a colony typically build up over a year or so, until they are sufficient to kill the colony if it is not treated. 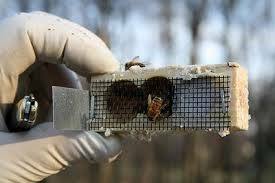 The mite will wipe out most wild (or feral) bees, as they will not be treated by a beekeeper to control varroa levels. Only well-managed bee colonies will survive the arrival of varroa. Beekeepers in affected areas should monitor the mite levels within their hives and treat before numbers rise to damaging levels. Varroa cannot be eradicated, but can be controlled using various organic and inorganic miticides and possibly by selecting bees for tolerance to the mite. Sudden population crashes, especially in the autumn when hives may have honey stores but no bees. MAFBNZ advocates ‘best practice’ management of varroa to avoid miticide residues and delay the emergence of resistance in mites to chemical treatments. The recently updated Varroa Control Manual contains detailed information on varroa management.